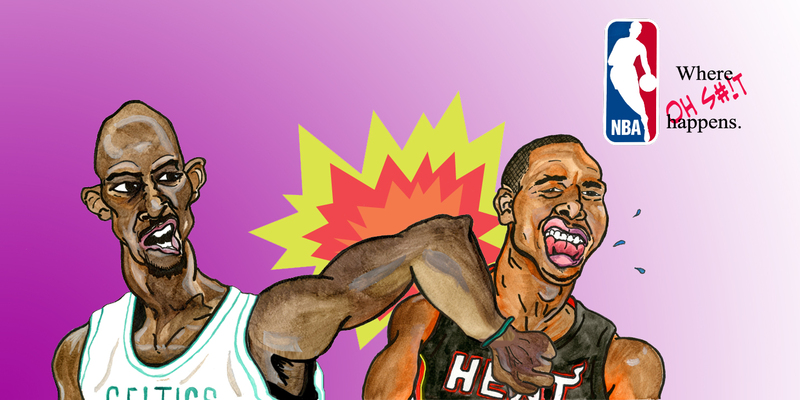 With the first round of the NBA Playoffs wrapping up I decided to post an Illustration onto joedichiara.wordpress.com. This picture depicts the Game 1 altercation between the Celtics Kevin Garnett and the Heats Quentin Richardson, in which consequently Garnett was ejected from the game and suspended for Game 2 and Richardson fined $25,000. Check my website http://www.joedichiara.com to see this finished picture and more!